A BETTER DEAL ON SOLAR – BUYERS GROUPS! Even with Energy Matters’ low prices, specials, generous government rebates and the added attraction of a feed in tariff in some Australia states, there’s a way for you to acquire your solar energy system even cheaper – use the power of group buying and form a solar buyers group; or join one set up by Energy Matters! Our free sessions include useful tips on how to reduce your electricity bill, how solar works, the benefits it can bring to you and your community and how to take advantage of discounts through the power of solar buyers groups. If you’re interested in having Energy Matters deliver a free solar power information session in your area, please complete the form below and we’ll follow up with you. Councils, builders, home owner and neighbourhood associations – our buyers group program is the perfect solution for you too! By collaborating with friends, neighbours and colleagues within a local area, you can form a solar buyers group that can provide you with increased buying power in order to get better pricing. Through bulk ordering, members of a solar buyers group can install a residential solar photovoltaic system at well below market prices. Energy Matters specialises in catering to solar buyers groups! While Energy Matters already passes our bulk purchasing power onto the end consumer to make solar power more affordable, when people work together to purchase solar arrays in lots of 50 or more, this can provide additional substantial saving and special deals! Add to that any government rebates and a solar power system becomes a truly affordable investment for a home that will save money and reduce greenhouse gas emissions for years to come. Would you like more information about the power of group buying and our group deals? Contact our friendly team. 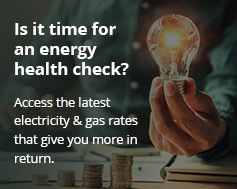 Our buyers group program has already been incredibly successful, with groups starting up in areas such as Adelaide (approximately 100 units), Bendigo and Mallacoota (nearly 100 units) saving people many thousands of dollars on acquiring grid connect systems through Energy Matters’ special deals! “The Adelaide Buyer’s Group was formed in early 2008 to help people to purchase solar PV and solar hot water systems at affordable prices. By purchasing as a group, we harness group buying power to achieve significant cost savings. With group buying schemes, everyone wins: retailers get good sales volumes with minimal sales overheads (i.e. costs), and they can pass these costs savings onto the buyer’s group members in the form of discounted product prices. Energy Matters was successful with the second round of solar PV group buying and the first round of solar hot water group buying. In my experience they have been outstanding to work with, and many Adelaide Buyer’s Group members have expressed to me their satisfaction at working with Energy Matters to select, order and install solar systems on their homes. Close to one hundred solar power systems have been installed by Energy Matters so far in the town of Mallacoota based on a solar buyers’ group model. The power of solar through the power of group buying deals! If you’d like some assistance or have questions about setting up a buyers group, our team will be more than happy to help you with advice on how you can secure a great deal though bulk purchase arrangements! We may be able to connect you with an existing buyers group and we often set up groups in areas where there has been substantial interest. Please complete the following brief form and we’ll follow up with you.